Panera Bread is known for their famous, delicious broccoli cheddar soup and this is a copy-cat recipe. It’s made with fresh broccoli and lots of cheddar cheese. Serve for lunch or dinner with a side of crusty bread! 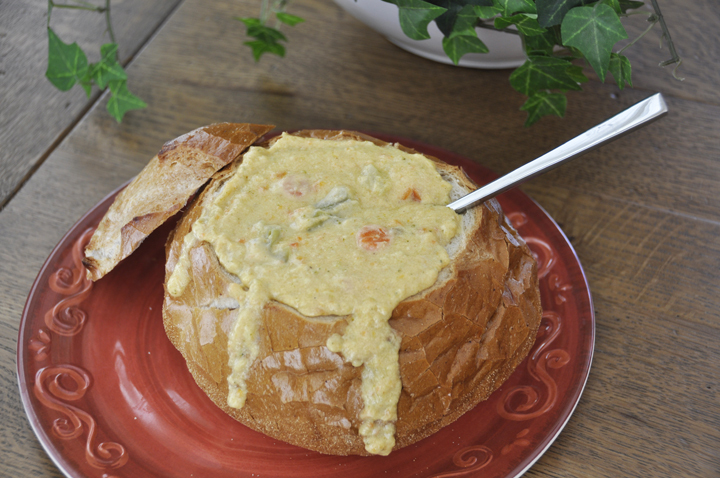 Have you ever had Panera Bread’s Broccoli Cheddar Soup before? Everyone I know who has tried it LOVES it. I went to visit my brother and sister-in-law in Syracuse a couple days before Christmas and my sister-in-law made this soup for lunch. Immediately after taking my first bite, I asked her for the recipe because it was THAT good. I loved like I love my Beef Nacho Soup. She made it with vegetable broth since my aunts that were eating lunch with us that day are both vegetarian. 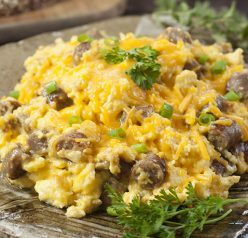 I just loved it so much and knew I had to make it at home right away so my hubby could try it. Now I can make Panera-style broccoli cheese soup right in my own kitchen – so exciting! Of course, I had to serve it in bread bowls to make it extra fun to eat. This was an awesome soup that thickened up nicely and it is very, very filling. Whether or not you will think this tastes EXACTLY like Panera Bread’s soup – who really cares?! Either way, it is fantastic and has outstanding flavor to it. The nutmeg may seem strange, but it really gave it a special flavor without being too strong. You may not even be able to detect it at all. Personally, I thought it was pretty darn close to the restaurant version of this soup, possibly even better. Just a tip about using anything other than half and half for this Broccoli Cheddar Soup recipe: the lower the fat content in the milk product (half & half, milk, heavy cream, etc.) that you use, the higher your risk of curdling. The higher fat content protects it from curdling as easily. That being said, you can still use low or no-fat products, but you have to take great care not to let them boil and your soup will not be as thick or creamy. It’s all a matter of preference! I also have another Panera copy-cat soup recipe – this Chicken & Wild Rice Soup. This Creamy Loaded Bacon Baked Potato Soup is also one of the most popular soup recipes on my blog. I wasn’t kidding when I said I love soup! I also love this Wintry Chicken Pasta Soup from my friend Lea Ann. Panera Bread is known for their famous, delicious broccoli cheddar soup and this is a copy-cat recipe. It's made with fresh broccoli and lots of cheddar cheese. Serve for lunch or dinner with a side of crusty bread! Melt the 1 tablespoon of butter in a pot over medium heat and sauté the onion in it. Melt the ¼ cup butter in the same pot and then add flour and stir together using a whisk over medium heat for 3-5 minutes. Stir constantly to prevent burning and then add the half & half. Add the broccoli, carrots and cooked onions. Cook over low heat for 20-25 minutes. Return soup to heat and stir in the cheddar cheese. 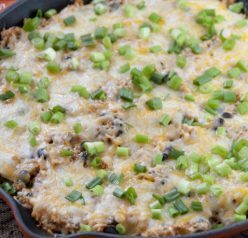 Once all is hot and blended, serve in regular bowls or bread bowls. Enjoy! IIt was fantastic. Thanks for propping up Missys cooking. We are having this soup again Sunday!! No need to thank – enjoy your second round of soup Sunday! Ashley, this soup looks so delicious – what a pure comfort food! One of the best ways to eat broccoli! To my shame, I’ve never had this soup before but now I want to try it! This looks like the perfect comfort soup! I’ve never had it at Panera bread before, but I’m with you – anything homemade is probably much better! I love the idea of serving it in bread bowls. I can totally imagine eating this on a cold, winter day! Soup looks fantabulous Ashley! 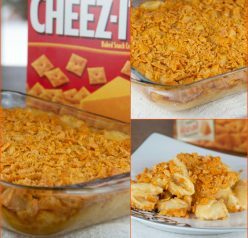 I need to get my hands on a lactose free cheese so I can duplicate this recipe! I hope you can find some so that you are able to make this! Broccoli cheddar soup is one of my absolute favorites!! I need to try making a vegan version so that I can satisfy my cravings ;). I’m sure you will make a wonderful vegan version!! Let me know if you do! Oh, I love soup bowls. Yum! Oh my goodness, I went through a phase when I was just crazy for broccoli cheese soup. I loved putting it on a baked potato 😀 Putting it in a bread bowl…amazing!! I bet it would be awesome on a baked potato! I’ve never been to Boudin’s or San Fran! Would love to try it, though! I used to always order broccoli cheese soup when I was younger … always! This sounds delicious – so thick and creamy and comforting. It’s been rainy and dreary all day – I’d love a bowl of this! I have always loved it, too. There’s just something about broccoli cheese soup! Thanks Ash. I think most the fat in the soup is “good” fat anyway, and it actually was able to be eaten on our restrictive diet. You can even eliminate the flour and use a starch as a thickener if you are going gluten free. I love the bread bowls though! That looks so comforting! I love bread bowls…like way too much. This is just as good- I promise! YUM! I definitely remember having Panera’s broccoli cheddar soup and wishing that my bowl would magically re-fill itself! This looks so delicious and I love that you cut the fat content down. I LOVE broccoli cheese soup, but I haven’t tried Panera’s (because it’s not vegetarian). Who needs it when there’s tasty recipes to make at home, though! You can definitely make this with vegetable broth! I personally have had this soup made with the vegetable broth and it was JUST as good! Love the bread bowls! I haven’t had this soup before, but it looks delish. Definitely something I should try. Thanks so much! 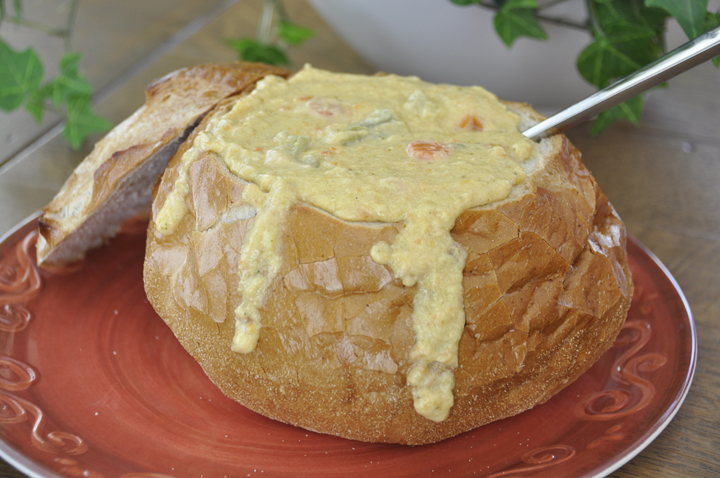 I love cheddar-broccoli soup in a bread bowl! This looks delicious! I, too, made a “knock-off” version of Panera’s soup and this recipe is very similar. I think the nutmeg makes all the difference. It’s really good! I must be missing out not having had this soup at Panera before because I’ve heard about it a few times now. I love a good make-at-home and looks like you nailed it. WOW! Thank you soo much, Christina! I love panera’s soup! This looks great! Oooh, this looks so creamy and comforting. Just the thing to beat the winter blues. I used to eat broccoli soup all the time but haven’t had it in ages. Now I’m craving it! Yes wouldn’t that be awesome!! Very stupid question (please excuse me Im Australian) what is half and half cream? Is that half cream and half milk? Yes! Exactly! And that is not a stupid question at all! !